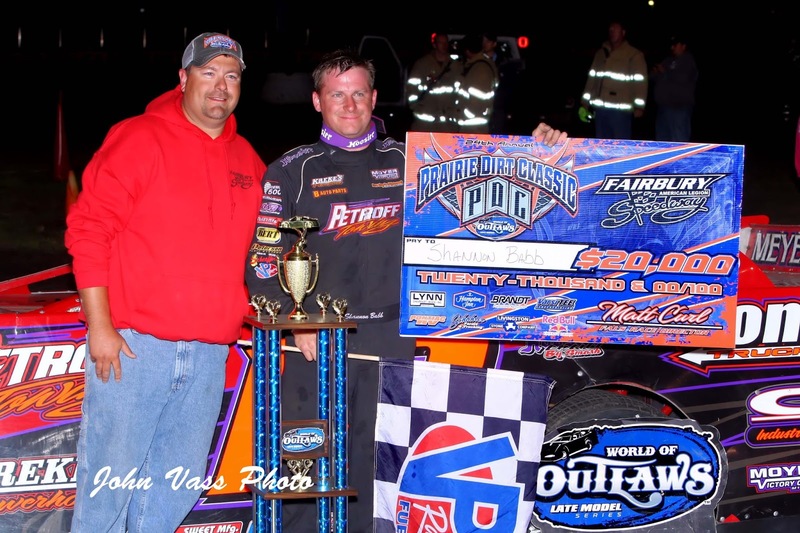 The big smile on Shannon Babb's face says it all after he won the $20,000 World of Outlaw Prairie Dirt classic at the Fairbury Speedway. 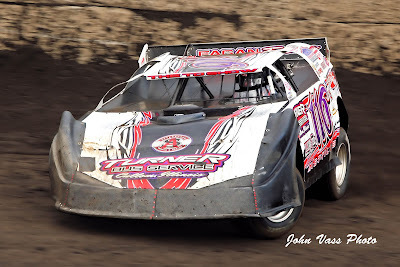 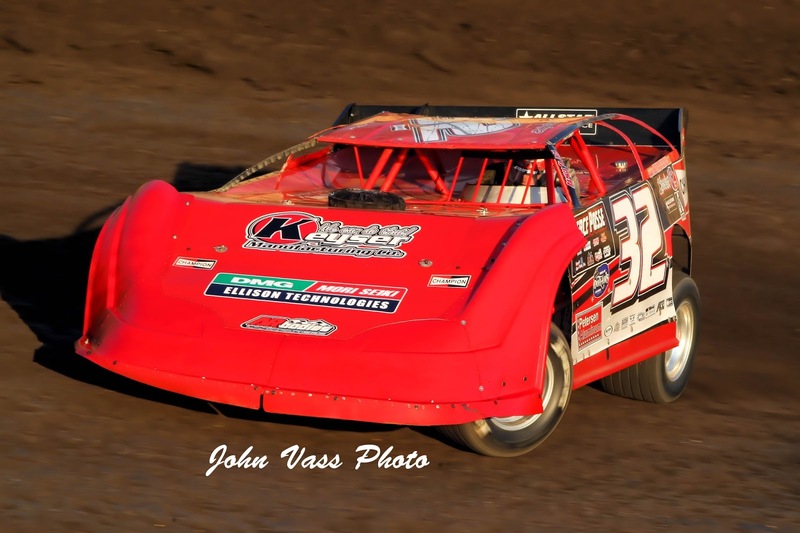 16-year-old Bobby Pierce is rapidly becoming the star everyone expected and he dominated the Prairie Dirt Classic at Fairbury. Typical Fairbury three-wide action with Shannon Babb (18) inside of Kevin Weaver (b12) while Tyler Reddick (11r) runs high. Racin' Johnny Mason was on hand to enjoy the fun and take a shot at the $20,000 to win Prairie Dirt Classic. 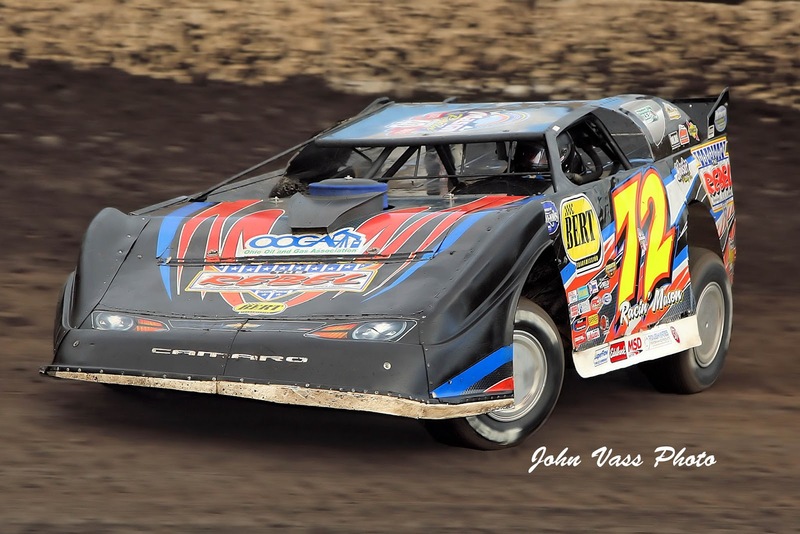 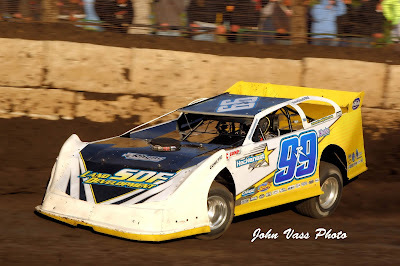 Torin Mettele had a strong showing in his first Prairie Dirt Classic. 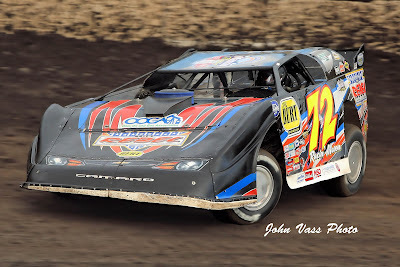 The 16-year-old finished just behind Brandon Sheppard and Darrell Lanigan in his quest to make the A main. 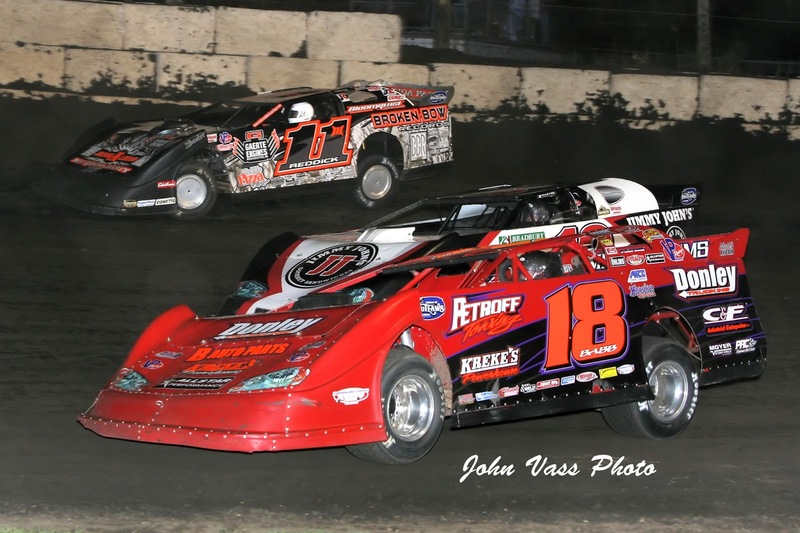 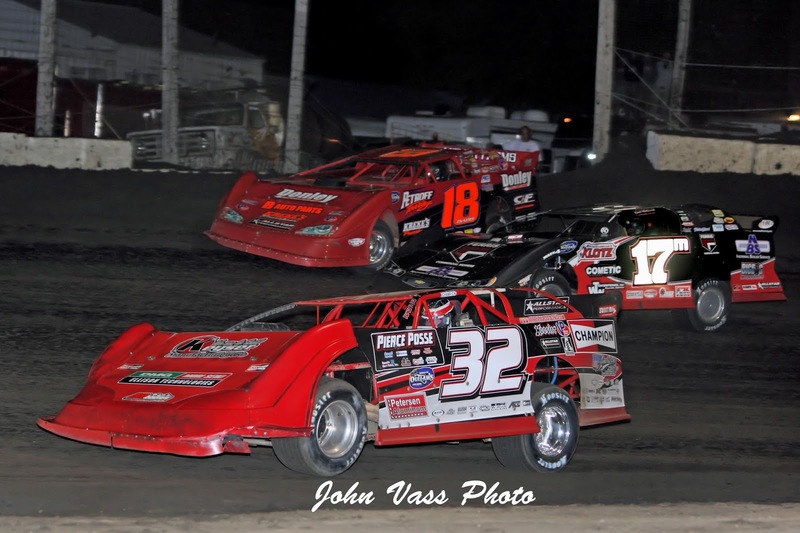 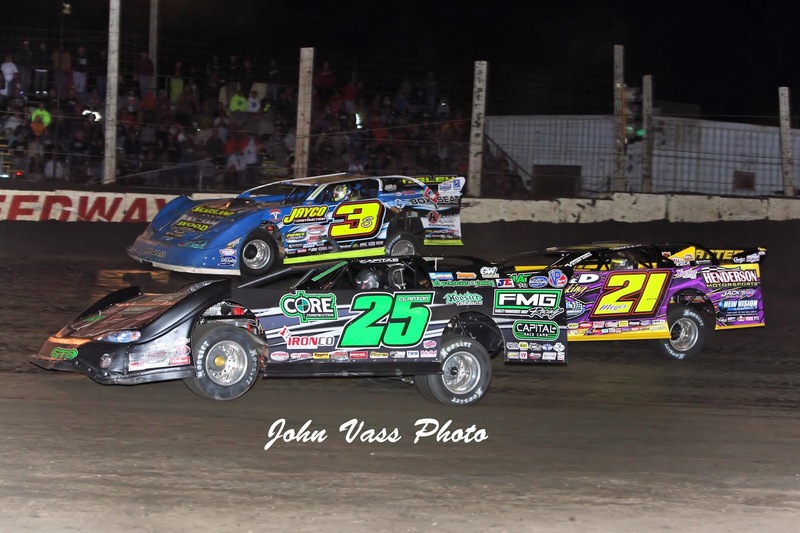 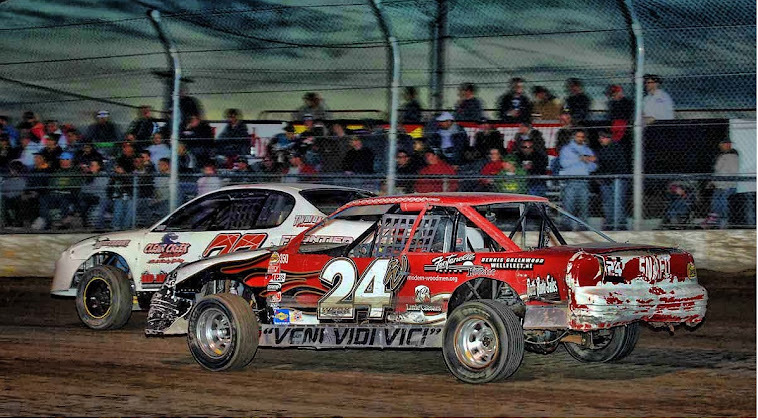 Shane Clanton (25), Billy Moyer (21), and Brian Shirley (3S) race at the multi-grooved Fairbury Speedway during the Prairie Dirt Classic 100-lap classic.